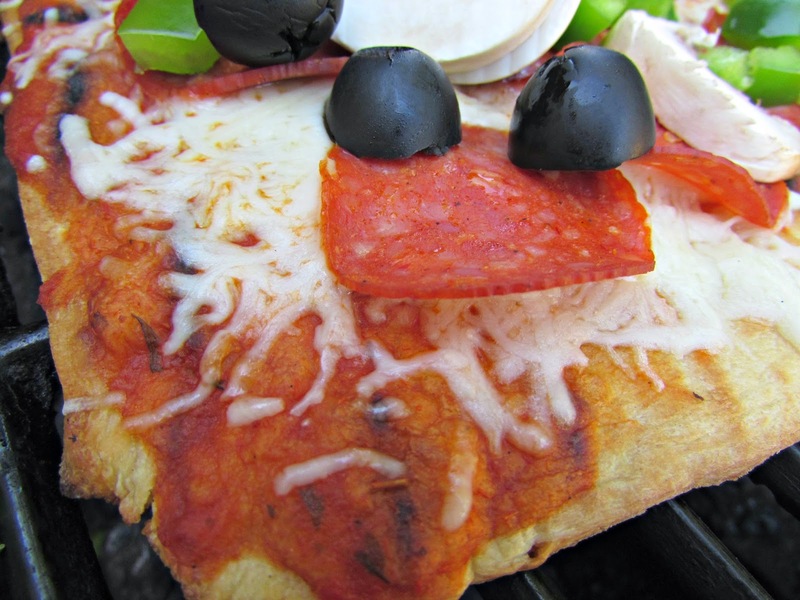 Have you ever had grilled pizza? Did you even know that was a thing?! 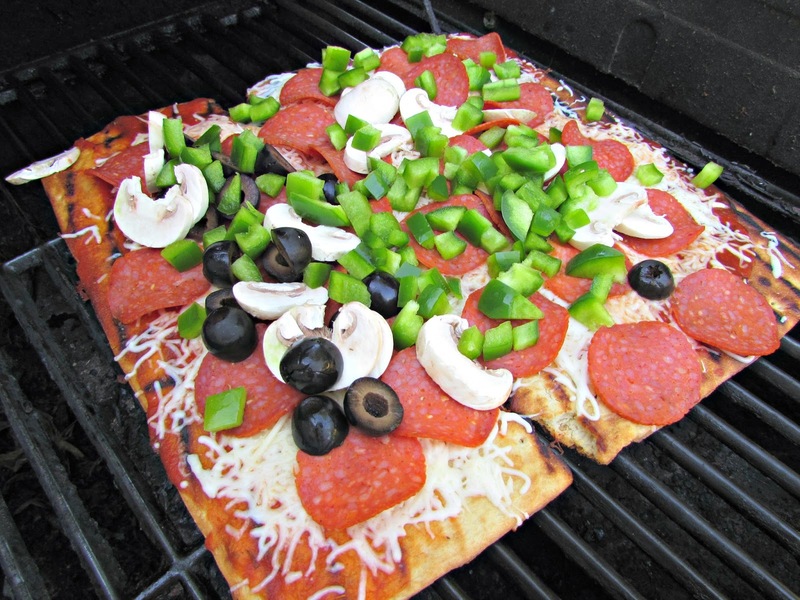 Several years ago, I was driving and some DJ was talking about grilling pizza and so I decided to try it. Never having done it before and not having a recipe or anything to follow, we just winged it, but we've been doing it ever since! Something about the grill just brings all the delicious flavors together. 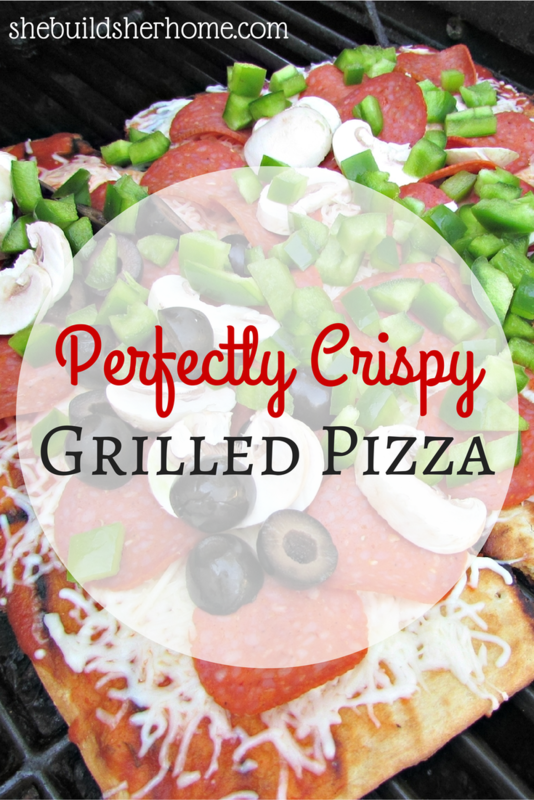 If you've never grilled pizza, you are definitely gonna want to try this one! What you'll need: *Pre-made pizza crust *Olive oil *Pizza sauce (You can make your own, if you're feelin' wild!) 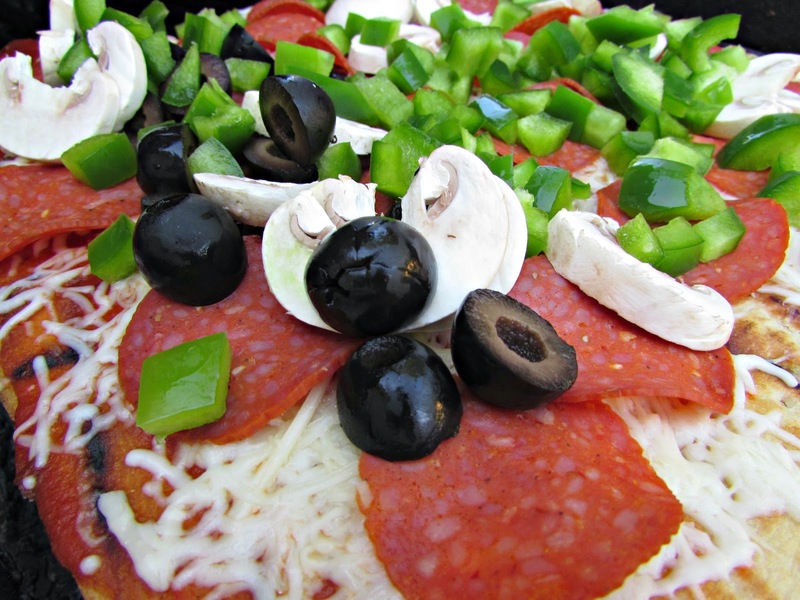 *Shredded mozzarella cheese, or pizza blend cheese *Toppings (We usually use turkey pepperoni, mushrooms, green peppers, tomatoes, olives, etc.) Here's what you do: 1. Pre-heat your grill on medium heat for a few minutes 2. 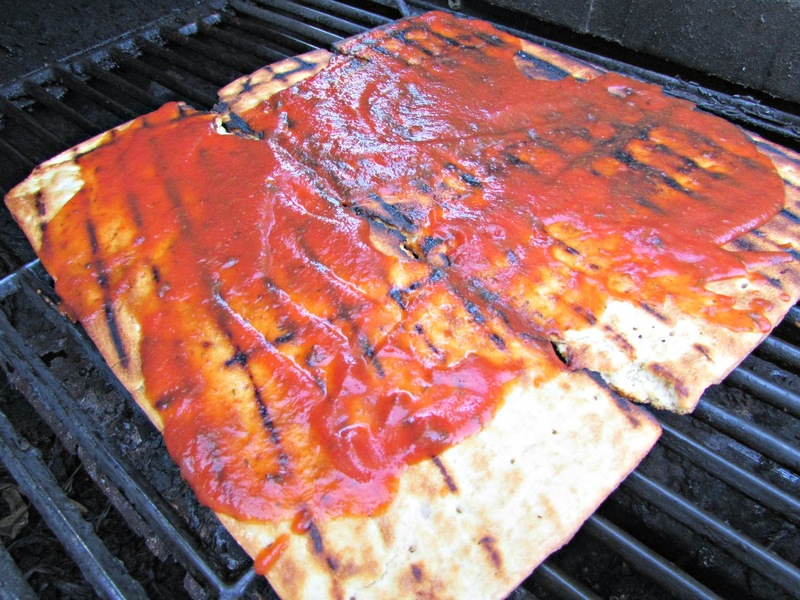 Put your pizza crust face down on the grill, and baste the side that is up (which is actually the bottom...have I lost you?!) with olive oil. Let it sit for a few minutes. 3. 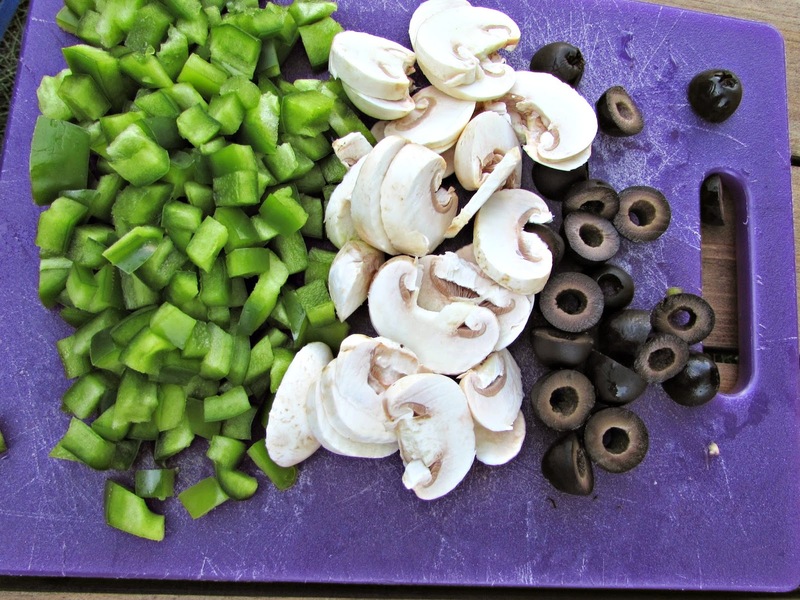 If you haven't already, this would be a good time to get your toppings ready! 4. Flip the crust over, add your sauce, and spread. 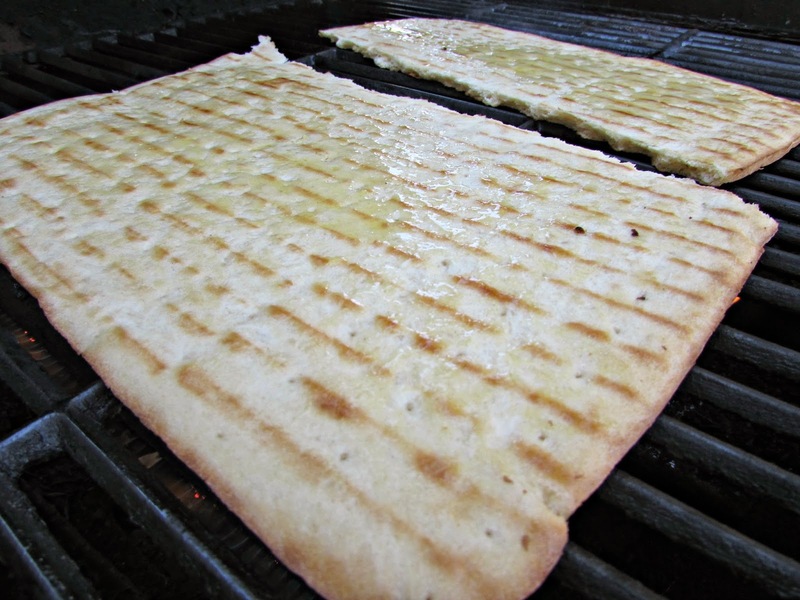 Check out those grill marks...mmmm! 5. 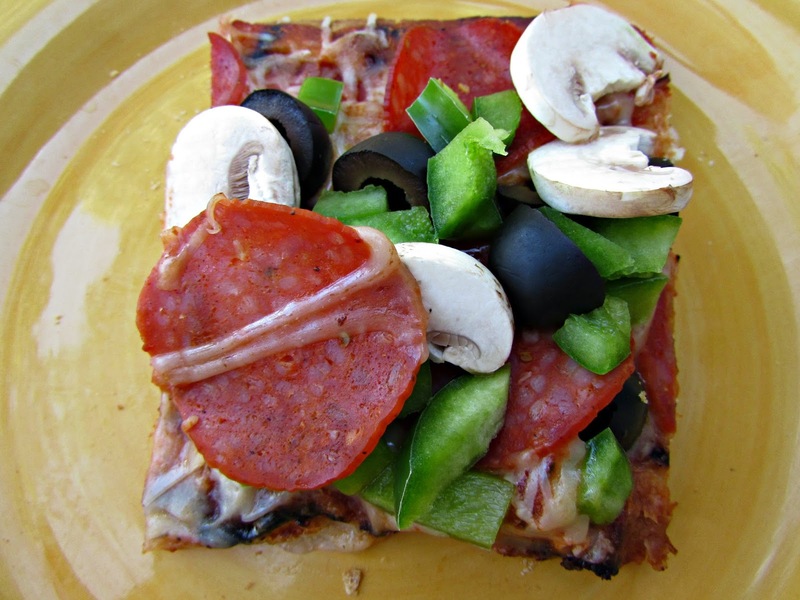 Sprinkle on your cheese and add other toppings. 6. Cook until the cheese melts and the crust is crisp (5-10 minutes). 7. Go ahead, stuff your face! We usually choose a thin crust so it is really crisp and delicious. When we go out for pizza or order in, we always go by the motto that the more crust the better, so I think the thinner crust just makes it feel like a whole different food to us. 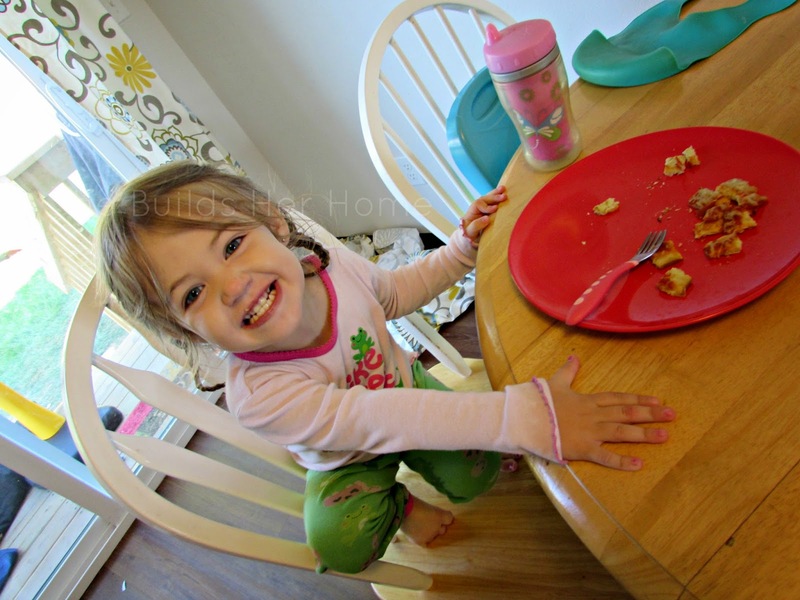 Bonus: it's even toddler approved! If you didn't have dinner plans tonight, now you do! Give this one a whirl...you can thank us later! love it I've never cooked one on the grill will definitely have to give it a try. Thanks for sharing this recipe have a great week. 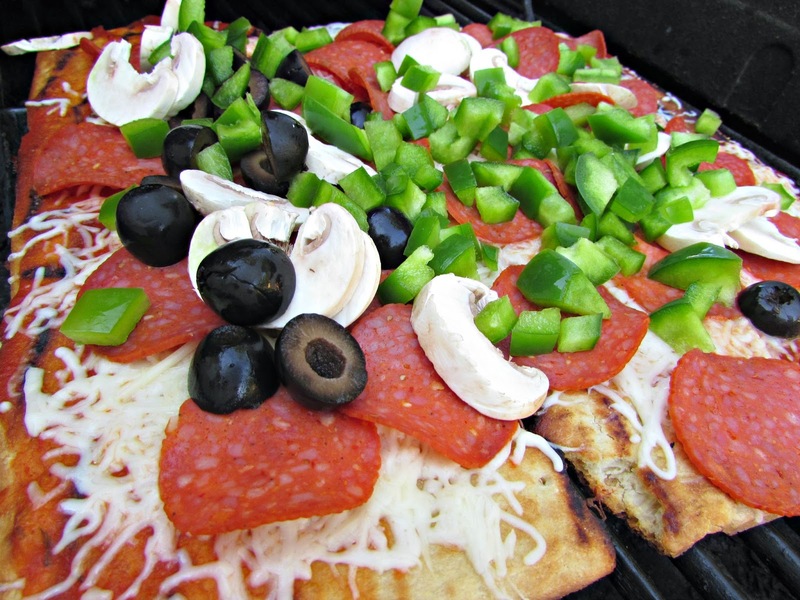 We've never made grilled pizza before..but that looks awesome!